Colour zones ‘the key’ to boosting performance in the workplace! 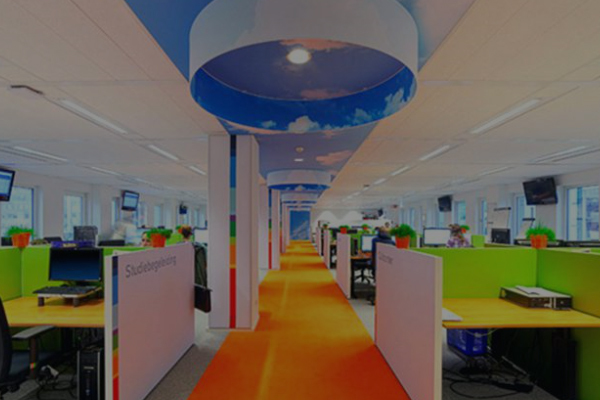 Using specific colours in discrete ‘zones’ around the workplace can increase productivity. Psychologists and design consultants interviewed by office fit-out firm Dale Office Interiors said choosing the right shades should be a key part of any business’s design strategy to get the best out of staff. “Colour in the work environment is one of the most important factors that influence the thoughts, moods and behaviour of the people who work there,” explains colour therapy consultant Suzy Chiazzari, principal of the Holistic Design Institute. Working in a “colour-diverse space” stimulates the production of endorphins in the brain, which reinforces “a feeling of well-being” in employees, says Chiazzari, adding that a monotonous office can prompt feelings of “drudgery and constriction”. Teacher and colour therapist Katherine Jones suggested that the solution should be “to create zones of colour to encourage areas of rest, creativity, productivity and performance”. Pink reduces aggressive behaviour, according to a 1979 study of American prisons. This calming influence can be used effectively in the workplace, says life coach Priscilla Elliott. Blue is thought to facilitate communication, making it ideal for media companies and departments, according to Elliott — while green can “bring balance and harmony” to the office. Alternatively, the colour orange is known to help activate the serotonin in our brains to produce feelings of happiness and joy. Alison Standish, author of Know Your Colour Personality, says this would be perfect for the ‘time out’ areas of an office. And as violet inspires artistic expression and mindfulness, it is a suitable shade for meeting rooms and HR environments, adds Standish.